Thanks for your interest in our product line! From Residential to Commercial, Agricultural to Mobile Homes, Dacraft™ has a product that is sure add value, beauty and functionality to your home or business. Please spend as much time as you like browsing our products, and please contact us if you have any questions. Looking to add comfort and value to your home? 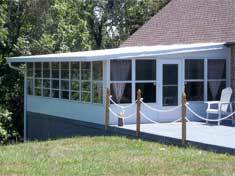 Let Dacraft™ help, with our line of great products, including Metal Roofing, Patio Covers, Insulated Patio Enclosures, Screen and Glass Rooms, Carports, Siding, Awnings, Windows, Shutters and Doors! Our products are custom designed, manufactured and installed to fit your needs! Want to give your business a polished and professional look, or just improve it's functionality? Dacraft™ custom designs and manufactures our products in our own factory, and installs on site to your exact specifications. Let us help you with your next commercial or agricultural update! Dacraft™ and it's partners have been designing, manufacturing and installing quality mobile home products since 1953! Our Roofing Systems, Insulated Patio Covers and Enclosures, Carports, Vinyl Siding, Awnings, Windows, Shutters and Doors are second to none! 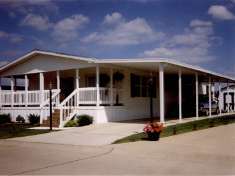 We would love to help you add value, beauty and functionality to your mobile home!